The long-awaited film version of the classic graphic novel Watchmen opens this Friday, and the official website is adding video profiles of the major characters each day. Scott posted earlier about some of the retro Watchmen videos and clever websites that have been created to promote the movie. Meanwhile there’s other activity in the real and virtual world around the comic and movie that I thought was worth a quick tour. For those who read Watchmen way back when and think they know it cover-to-cover, Comic Book Resources has been doing an incredible series of posts where two real life comic book guys are re-reading the original issues of the comic and discussing them, starting with the first issue that came out in 1986. You may already know that Watchmen was listed in the Top 100 Novels of all time by Time Magazine, but you’ll really understand how fitting that is after reading some of these re-reading conversations. Complicated mathematical patterns and repetitions of imagery, literary discussions from Shakespeare to Vonnegut, and of course innumerable comic references to everyone from Grant Morrison to Harvey Kurtzman to Bill Keane(!?). 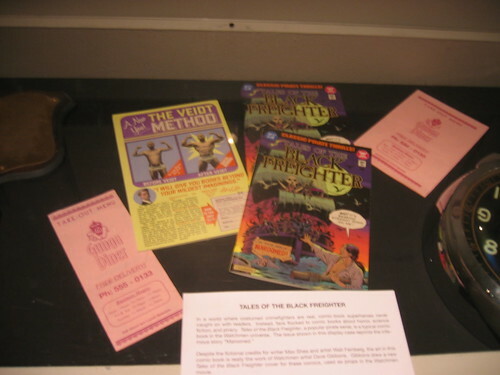 Meanwhile back in the real world, well San Francisco anyway, artifacts of both the film version and the original artwork are on display at The Cartoon Art Museum. The exhibit opened last week while the WonderCon convention was in town, the photos below are from the exhibit. 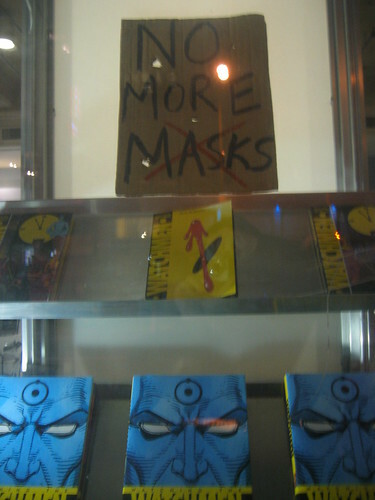 In addition to the exhibit (which is up until July 19th), there is also a special sneak preview showing of the Watchmen movie, a Cartoon Art Museum Benefit Screening on Thursday, March 5, 2009, 7:00pm, at The Metreon with tickets priced $25-$250. More details below and on the museum website. 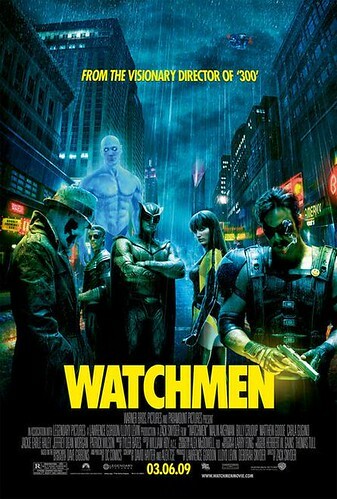 The Cartoon Art Museum presents an advance screening of one of the most anticipated films of 2009, WATCHMEN, in a special benefit fundraiser sponsored by Warner Bros. Pictures. This is your opportunity to avoid the opening night crowds and pledge your support to the Cartoon Art Museum, which will receive 100% of the proceeds from ticket sales to this spectacular advance screening. Call 415-227-8666, ext. 300 to purchase tickets, or visit the Cartoon Art Museum admissions desk during our normal hours of operation. Tickets must be purchased before Thursday, March 5, 2009. All proceeds from the benefit will support public programming and exhibitions at the Cartoon Art Museum. Ticket charges are tax-deductible. 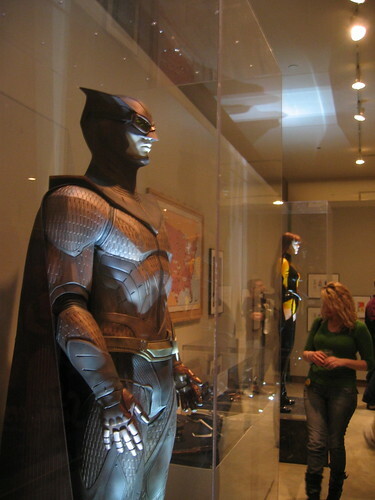 G4 covered the opening of the Watchmen exhibit and interviewed artist Dave Gibbons in the video below.